Our garden patio and indoor dining area are the perfect setting for a private event. We host wedding ceremonies, celebrity chef dinners, large family dinners, special receptions, and weekend daytime brunches. 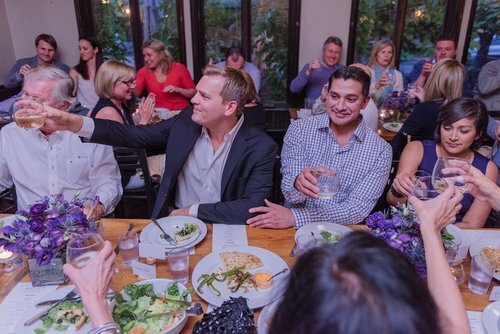 Our garden patio is ideal for holiday parties, surprise birthday dinners, and any event you’re looking to pull together. For a secluded garden wedding reception, a ceremony under the vines, a beautiful farm-to-table family dinner, or a large family-style rehearsal dinner, the Big Bear is perfect for an intimate event that can utilize both our indoor and outdoor spaces. The full reservation of Big Bear is the most popular option for private events, and is best for staged events where your wedding ceremony might take place under the garden gape vines outdoors and be followed by an indoor cocktail reception, or adjacent family-style dinner on the patio. Or welcome your family with a cocktail reception indoors at the bar, and then move outdoors for a large seated family-style dinner under the tent in the garden. There are many ways we can work together to figure what works best for you. The indoor cafe is the perfect setting for a seated family-style dinner for up to 45 guests, or an open-floor cocktail reception for up to 75 guests (with easy access to the main bar). The indoor space has walls of exposed brick and plaster, a full service traditional bar, and rough-hewn hardwood tables built from the reclaimed beams of the original Big Bear Market. The space is candle-lit at night and tables are configured for large communal table dining. The room can be cleared for an open reception area or dance floor. 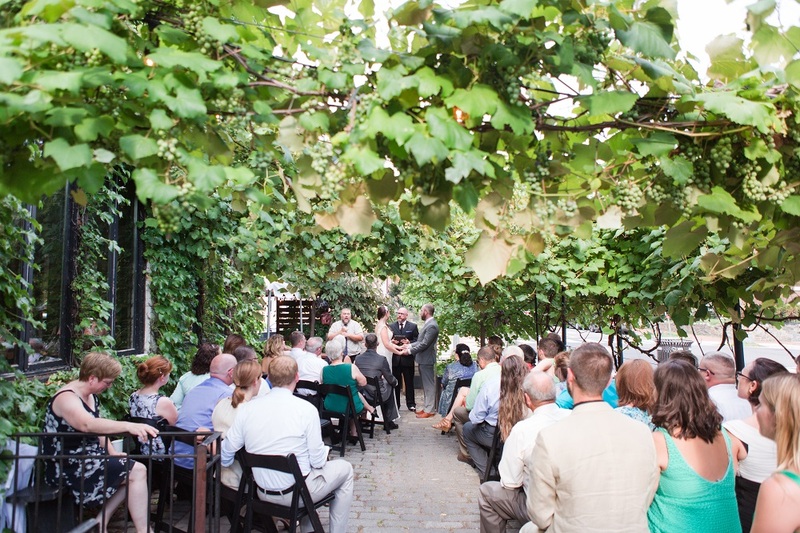 The adjacent private side patio can be used in conjunction with the indoor cafe to allow for a separate outdoor drinking area, presentation space, or other special activities such as a Canadian log-cutting marriage ceremony (see below). 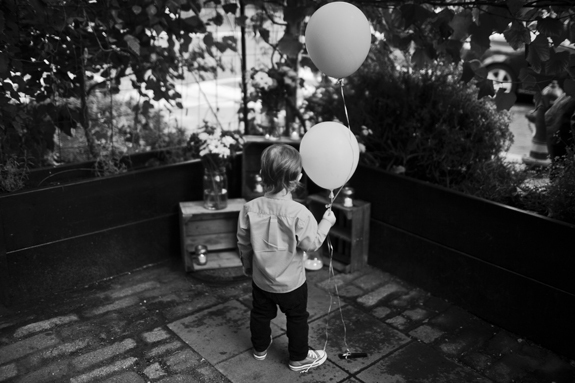 The Private Garden Patio is ideal for a bridal or baby shower; a family weekend brunch; or any special daytime event. The patio can accommodate a seated breakfast or lunch for up to 30 guests; or a reception with buffet-style appetizers and passed dishes for up to 40 guests. The patio is set off to the side of Big Bear is enclosed with large garden planters, wood trellis, flowering vines, and flowering trees. The walls are covered with leaves of boston ivy, and a kitchen garden grows along the south side of the space. A large event canopy tent can be set to protect from rain. The overhead trees give protection from the sun and heat.